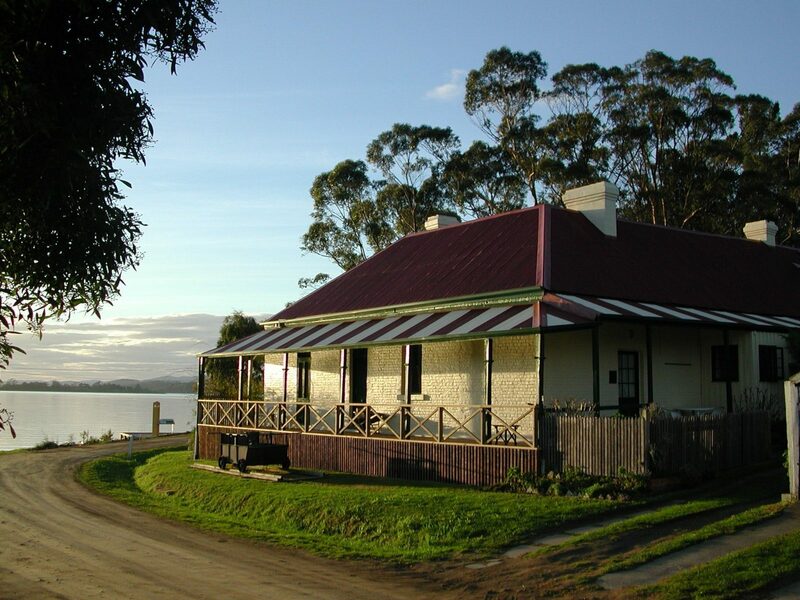 The Norfolk Bay Convict Station is a convict built home in Taranna, ten km north of Port Arthur. This historic home has five bedrooms, all with bathroom, television, and refrigerator. Enjoy our hearty continental breakfast of homemade bread, jams and local produce. 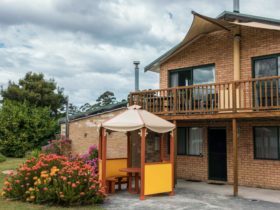 You can indulge and relax in our guest massage chair, or enjoy a glass of Tasmanian wine or beer in front of the wood fire in the cosy sitting room, in the garden or on the verandas overlooking tranquil Norfolk Bay. There is a comprehensive library, and we offer business facilities and internet access for our guests. 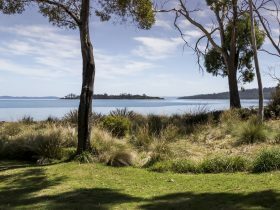 Norfolk Bay Convict Station was built to service Australia’s first convict railway station and had a pivotal part of the Tasman Peninsula’s history. 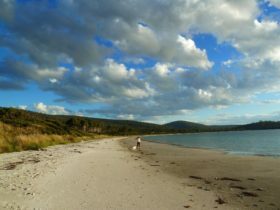 The train had the dubious reputation of being the only human powered one in Australia, and carried goods from Norfolk Bay to Port Arthur convict prison – seven kilometres away. The Tasman Peninsula is famous for its 300 metres (1,000 foot) sea cliffs, walking tracks, boat trips, diving, and local vineyards. There are a number of good local restaurants, and you can kayak, play golf, or try fishing from the pier. This is a room with a queen size bed, a separate (private, not shared) bathroom across the hall from the room and bay views. 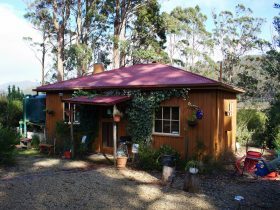 The room contains a bar refrigerator, flat screen television, DVD player (free DVD hire), coffee and tea making facilities. This is a room with two single beds, a separate (private, not shared) bathroom across the hall from the room and bay views. The room contains a bar refrigerator, flat screen television, DVD player (free DVD hire), coffee and tea making facilities. This is a generously sized suite with an antique double brass bed, ensuite bathroom with bath/shower, refrigerator, two convection heaters, flat screen HD television and DVD player (free DVDs available in the library). It also has a three seater leather Chesterfiled lounge suite which folds out to provide a queen size sofa bed. 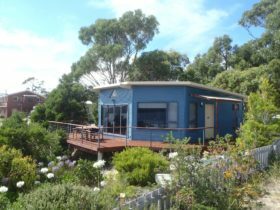 This is a generously sized suite with a double and single bed with ensuite bathroom. 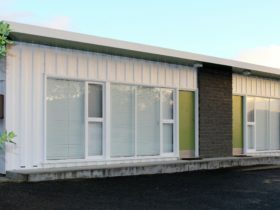 It has a bar refrigerator, tea and coffee making facilities, two convection heaters, flat screen HD television and DVD player (free DVDs available in the library). This is a large suite with ensuite bathroom, queen size bed and bund beds for an additional two persons (maximum four). The suite contains a bar refigerator, flat screen television, DVD player (free DVD hire), coffee and tea making facilities. 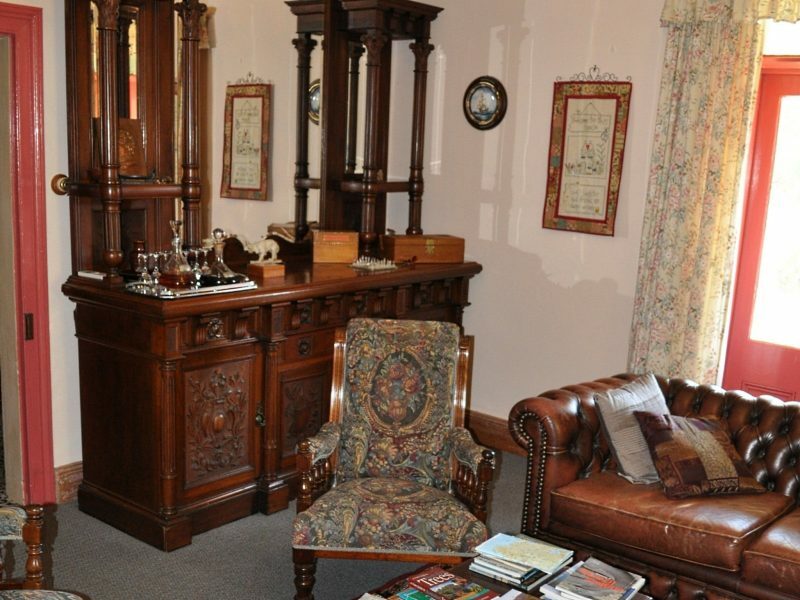 Price includes a home made buffet breakfast, free wifi, DVD hire, Port & Sherry in the Guest Lounge Room.